CO2 emissions: Good building insulation, recuperators, solar panels and good selection of household appliances can reduce the annual CO2 emissions even by 70%. 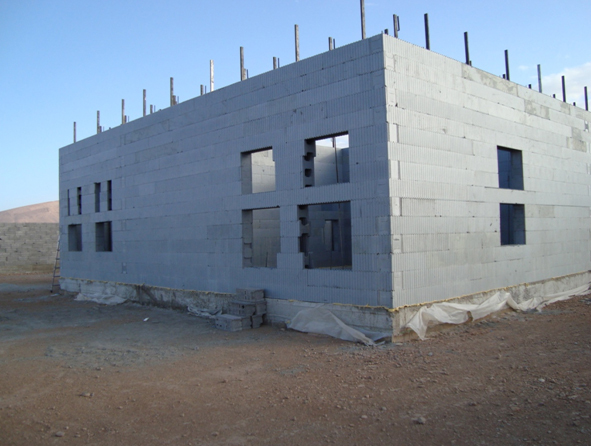 A key factor is comprehensive insulation of the building - from the foundations, through the walls, all the way to the roof. The better the insulation and the more energy efficient is the equipment we use in our home, the lower are the CO2 emissions. Transport: We deliver to the site a set of elements tailored to a given project. 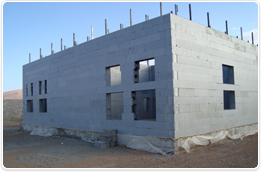 Thus, we minimize the amount of construction materials that need to be delivered to the site. Transport: Izodom analyses a building design to calculate a detailed amount of elements necessary to build a house. This minimizes the amount of waste left after the construction which needs to be removed and disposed of. Less debris: If the works are performed according to our guidelines (i.e. the installations are placed in the forms before concreting), you avoid wall chiselling which significantly reduces the amount of debris that needs to be removed later. 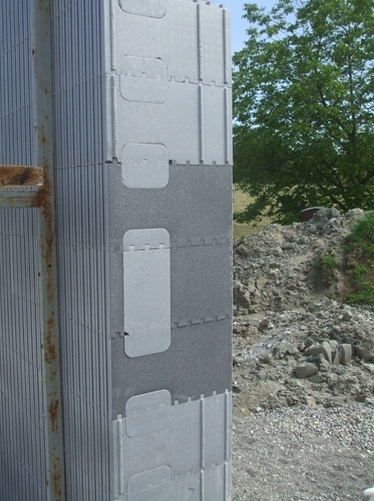 Minimum construction waste: Parts cut off from the elements that are too long (e.g. in the location of a window) can be used in other part of the wall. Darker colour indicates the areas where the forms were cut. The cut-off fragments are used in upper parts of the wall. Less timber: When building with traditional methods a lot of planks and shores is used to make formwork and supports. The Izodom system allows to greatly reduce or even eliminate altogether the need to use timber on the construction site. 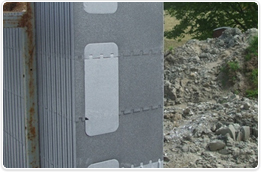 Instead of preparing the formwork for lintels or tie beams, you can use special MP and ML elements. Instead of many shores to support the lintel formwork you can use the Izodom elements which will be subsequently placed in the walls. The picture below shows the method of erecting walls with openings without wooden formwork and shores. On that site, an experienced team performed the works without using timber. The main advantage of the Izodom technology and products is durability and energy efficiency which allows to reduce environmental footprint for many years during which the building will be used.